The Pretreatment Program is made up of individuals who have dedicated their lives to what they do. The Pretreatment Supervisor brings intuitive insight and over 15 years of experience to her job. 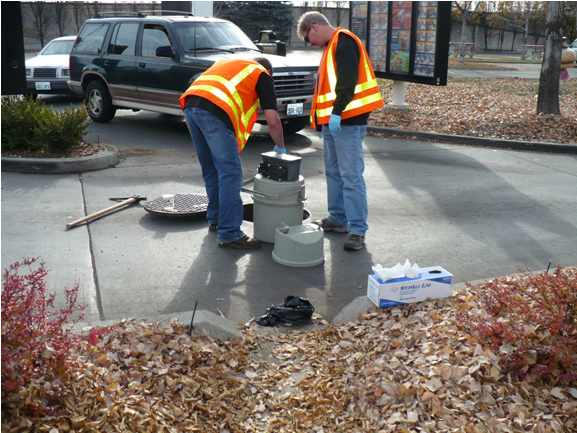 Each of the Pretreatment Crew members and the FOG Program technician have worked at the City of Yakima’s Wastewater Division for more than 20 years and bring to our customers invaluable knowledge and service. If you have any questions or comments regarding the Pretreatment Program, you are urged to call the Pretreatment office. Federal and State Regulations require that the City maintain an industrial pre-treatment program that is designed to work with industrial and commercial customers who meet certain criteria. The objective of the City Of Yakima (COY) pretreatment program is to protect the sewer system and publicly owned treatment works (POTW) from pollutants that may be discharged by local industries. These pollutants may have the potential to upset the wastewater treatment plant and cause pollutants to “pass-through” the plant untreated, or partially treated, and then be discharged to the Yakima River. This program is also designed to protect plant personnel by controlling and, in some cases, prohibiting the discharge of dangerous wastewater into the sewer system. The first step a business should take is to determine if their process is listed as Categorical defined in the 40 CFR. Secondly, the business should look at the definition of a Significant Industrial User and a Minor Industrial User to see if that may fit their status. If your business fits into one of these categories, or there is a reasonable potential that they might, you should contact the Pretreatment or Codes Department. WHO SHOULD BE ON THE PREATMENT PROGRAM? MIUs – Businesses are classified as minor industrial users (MIUs) based on the category of the business, and by characteristics and volume of wastewater being discharged. If identified as a MIU, the business will be subjected to a sewer pretreatment (SPT) charge on their utility bill. The charge will be in accordance with 7.60.105 C. of the City of Yakima’s Municipal Code. This charge covers periodic testing performed by the City to ensure compliancy with wastewater discharge limits set by the Pretreatment Program. It will also allow the Pretreatment Program to monitor the business as needed. It is the responsibility of the user to determine if they are subject to any Federal, State, or Local statues, and report their status to the Pretreatment Supervisor before any process discharge begins. If you are uncertain if you’re required to be on the pretreatment program, you can fill out the Preliminary Industrial Waste Survey, and/or call the Pretreatment Supervisor. The Follow Up Survey will need to be completed within 30 days of your Business Application.